Berlin-based Nanocosmos has taken its core codec technology and developed a suite of tools for end-to-end live streaming and claims 0.5- to 2-second latency for cross-platform playback including on HTML5 browsers. It recently debuted the patent-pending H5Live Player, which modifies the transport stream to enable playback by HTML5 browsers as well as iOS, Android, Windows, and MacOS platforms. 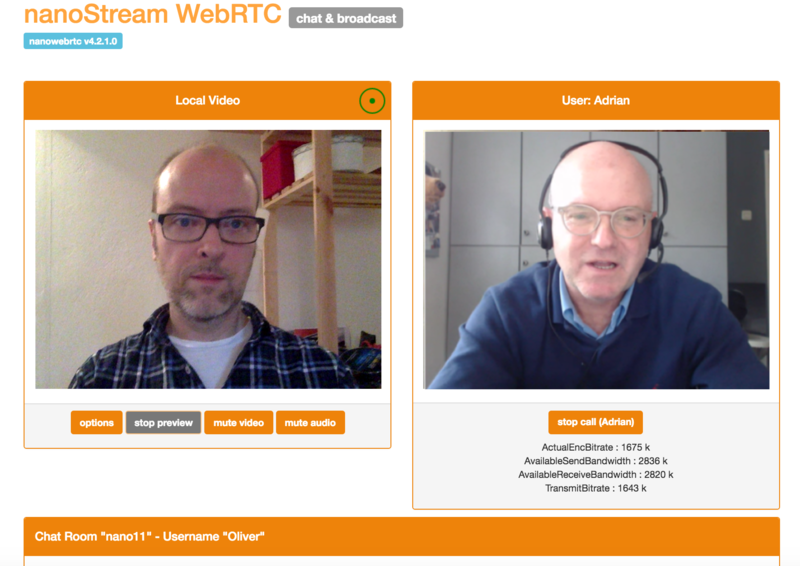 "After launching WebRTC.live we found customers increasingly asking us how they could create live end-to-end streaming services including a server environment," explains co-founder and CEO Oliver Lietz. "That's when we decided to create our own backends for live streaming. We can offer to take care of any worries a customer has about installing server products, configuring different streaming encoders. Scaling is another challenge for companies which are rapidly growing their online audience. They need to manage multiple ingest and output streams and yet still be able to perform instant live streaming with as low latency as possible. "We felt existing solutions—DASH or HLS—were not really suitable because of the native latency of 10 seconds or more in an end-to-end live stream," he adds. "So we decided to create our own player software for mobile devices based on RTMP. "H5Live runs on any platform and is a great replacement for existing Flash players based on RTMP," says Lietz. "It is a client/server solution based on the HTML5 Client and the H5Live Server. It works similarly to MPEG DASH but keeps end-to-end latency below 1-2 seconds." Users can connect to any RTMP live stream from their existing live streaming workflow, or create a complete end-to-end live streaming solution from a camera or screen with nanoStream software services. nanoStream is the firm's live encoding and playback cross platform technology. Cross-platform SDKs and apps enable different integrations of CDN and server for live video delivery. The firm's new bintu.live stream management platform enables users and developers to create, tag, and group streams. "Businesses can either use ready apps or create their own branded apps with our help, and use the bintu.live streaming service for secure streaming and stream tagging," says Lietz. "For enterprise-level security, we offer both cloud-based and on-premise streaming servers." A real estate company in Australia is already using the suite to power a live streamed property auctioning business where latency of a second is critical to ensure bids are legally binding as the hammer falls. First responder fire and police services in the U.S. and in India are using the software for live streaming multiple views from mobile devices from incident sites. Users also have the ability to add drone video feeds by sending live video direct (from DJI or Parrot BeBop drones, for example, as well as GoPros) out to the cloud or share through social media. At IBC in Amsterdam in September it demonstrated connecting and playing a VR live stream from Orah's 360° camera, with its mobile RTMP player for iOS and Android, and the H5Live HTML5 player. Its nanoStream technology powers Stringwire, the live video streaming platform from NBCUniversal News Group and Comcast, which supports Periscope-style citizen journalism. TalkPoint, a provider of cloud-based webcasting software and part of the PGi group, also uses nanoStream codecs for its web video conferencing applications. German broadcaster RTL is another customer, using Nanocosmos codecs for classic content preparation scenarios. Such heavyweight customer endorsement shouldn't be surprising for a company that has nearly 20 years experience. It started in 1998 as a software engineering company focused initially on MPEG1/2 codecs with a strong R&D background in cooperation with esteemed scientific researcher Fraunhofer/HHI. It later developed into high-level encoding and streaming APIs, for desktop and browser applications. Privately funded, the company has 15 permanent staff and operates a licensing model for its software. "Our aim is to create and deliver live end-to-end low latency and cross-platform streaming services which can be run as white label," says Lietz. "Increasingly we will do that on the cloud to enable services to be accessed worldwide. We would also like to grow our partnerships with CDNs and other key vendors. Long-term partnerships with close customer relation, support, and consulting services are a decisive part of our offering."